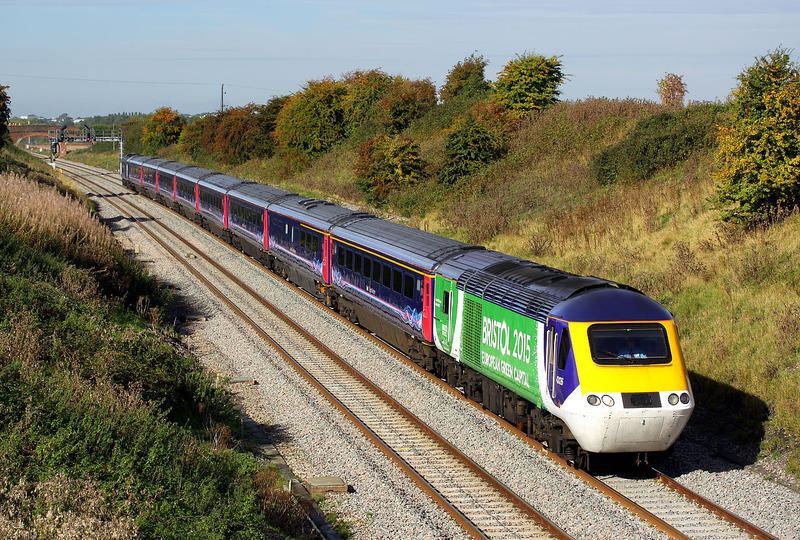 'Bristol 2015 European Green Capital' liveried 43126 passes Bourton on 23 September 2015 with the 1A11 09:30 Bristol Temple Meads to Paddington GWR service. This concluded a very colourful hour, which included the first GWR green liveried HST set, one of the 'Building A Greater West' power cars, and the 'Visit Plymouth' power car. An excellent morning's photography!